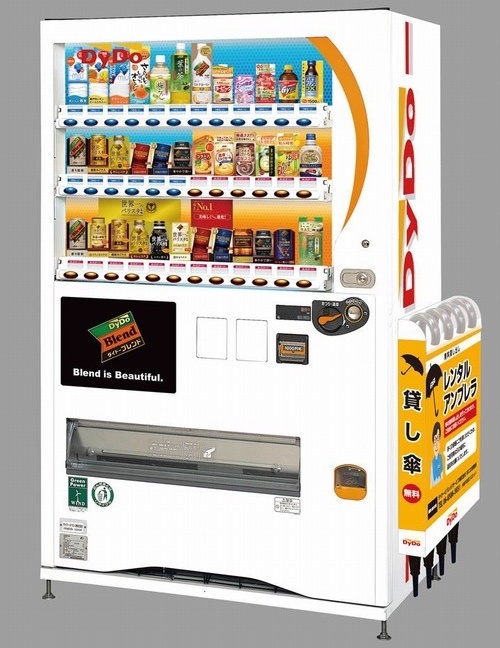 Japan is well known for its vending machines because there are so many of them (five million! ), but also because they are constantly “doing” new things. While usually the headlines are generated by the latest hi-tech advances — vending machines that can take selfies, for example — sometimes there are satisfying developments that aren’t actually so complex. After all, the best ideas are the simple ones. 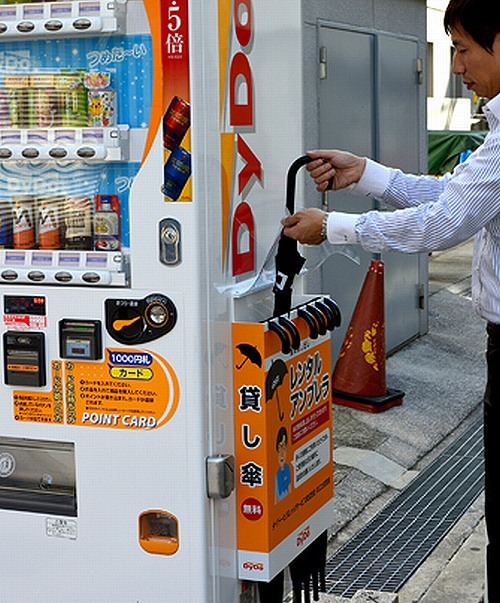 DyDo, one of Japan’s main drink manufacturers and vending machine owners, is now offering free rental umbrellas. 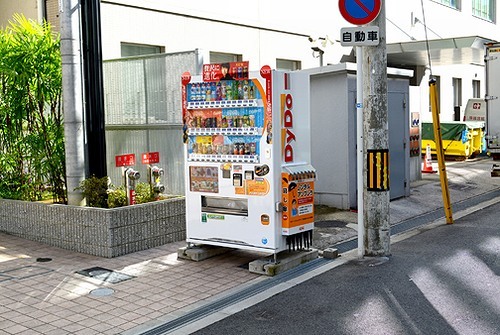 Umbrellas are available on the side of 60 vending machines included in a trial program in Osaka, which started on October 21st. 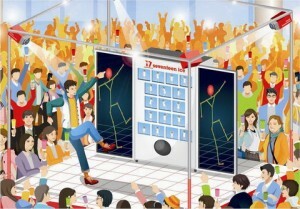 The vending machines will carry up to seven umbrellas, loaded into a rack on the side. There is no information yet on how regularly they will checked and restocked, so, when it rains, it may be like catching a taxi — you will have to race to grab an umbrella before someone gets there before you. No registration or free is required, nor is there a limit on the time you can borrow an umbrella. Perhaps only in “honest and crime-free” Japan would a major company trust consumers to borrow and then return an umbrella. 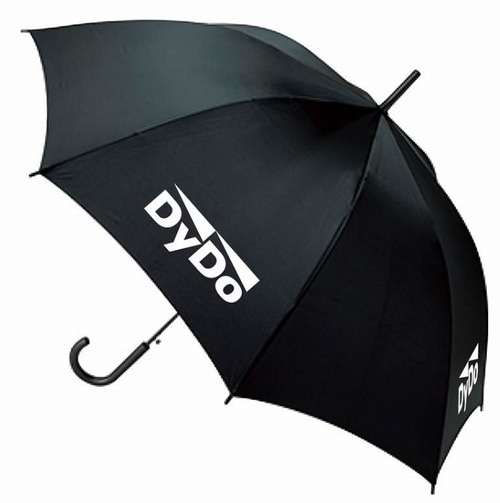 Saying that, the black umbrellas are “branded” with DyDo’s name, so it’s unlikely you would want to have one for long anyway. Japan consumes a vast amount of umbrellas (130 million per year! ), the majority of which are cheap transparent ones made in China and purchased in emergencies from a convenience store when there is a sudden shower.